Varicocele is a condition that is affecting 15% of male population. This is a common condition in man and if left untreated it can cause infertility and testicular damage. Varicocele is an abnormal enlargement of the vein that is in the scrotum draining the testicles and it occurs when there is a blockage in spermatic vein that becomes defective and does not allow blood to flow away from the testicle. Diagnosing Varicocele sometimes can be a hard thing to do because often it can t be noticed on the outside of the scrotum. If this is the case diagnosing it can only be done by an ultrasound. Treatment of Varicocele can include surgical and non-surgical treatment. Non-surgical method can be angiographic embolization, intrauterine insemination, in-vitro fertilization and medical treatment with Clomid. These methods are being used only for mild cases of Varicocele and if it is spotted early. Surgical way of treatment is usually the best option. 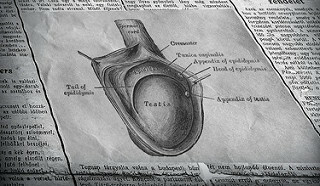 There are several ways to approach the Varicocele repair and some of them are open surgery, laparoscopy, and percutaneous technique. However many doctors go for microsurgery. This technique is highly demanding because of the small incision, but it has many benefits. Some of advantages of this approach are preservation of the testicular artery, cremasteric artery, and lymphatic channels. Surgery usually takes up to 45 minutes for one testicle, and if it is the case 1,5 h for two testicles (usually Varicocele only affects left testicle). The benefit from the surgical treatment of Varicocele is the improvement of the fertility in males. There are many studies that show increasing number of sperm before and after the surgical treatment. There is also a lot of data from personal experiences were patients and their doctors are amazed of the amount of improvement that surgery has brought. However there are still doubts that treatment of Varicocele is the real cause of the increase of sperm after surgery. One of positive things in surgical treatment is the recovery time. Usually, if everything with surgery went fine, patient gets released from hospital in one or two days. Patient can regain your full physical activities in few weeks. It is advised not to have any physical activities in the first week because of possible rupture. After the first week patient can have physical activities but it is highly advised to keep this at minimum. Success rates in surgical treatment for Varicocele are very high, and they go up to 97%. After surgery patients experience normal blood flow and sperm production. A rate of developing Varicocele again is very low, and it is uncommon thing but there is always a possibility of it happening again. Many men go for surgical treatment for Varicocele because there aren't many risks involved in the procedure. Varicocele embolization : what to do?